The challenges of business, at times, can be overwhelming but frequently individuals make it harder on themselves. 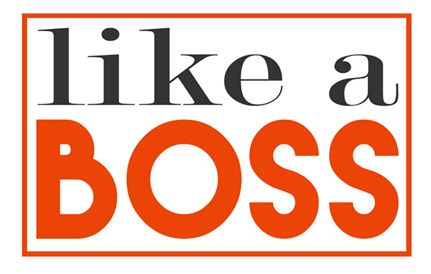 LIKE A Boss is a suite of services designed to assist business owners, management teams and employees to improve and implement new skills that will ease the pressure and create successful environments. ‍Have you reached a breaking point where professional demands are consuming all of your energy? ‍TwoPointO has developed a unique approach to determining and achieving personal, as well as, business goals. We help individuals avoid the 24/7 all-out race that dominates much of today’s popular goal achievement advice. Too frequently emphasis is heavily placed on the individual's determination. We coach clients to explore which goals best fit them and what hurdles they may encounter on the road towards success. ‍TwoPointO’s approach targets the “why” to ensure that the goal is authentic to the person (or the business) and not just an adaptation of popular culture telling us what we need and want. Goal success directly stems from a personal connection that makes sense on multiple levels, as well as, understanding “how” to accomplish the objective. Our coaches help to develop strong workable plans for managing and identifying hurdles, which will be encountered before they can cause problems. We provide essential tools and skills designed to manage changing priorities may ultimately influence the goal objectives. TwoPointO’s goal for Authentically Yours is to help you find the best path to achieving your goals and expectations. An essential component in today’s stripped down business world, collaborative teams provide critical support and benefit to business operations. TwoPointO coaches work with managers and owners to develop a strategic insight on building internal and external collaborative teams. This customized training is designed to galvanize the culture and strengthen team dynamics. ‍TwoPointO coaches help individuals retool their skills to conquer new challenges or take on exciting managerial responsibilities. We work with clients to create a best-fit action plan that quickly and efficiently meets their needs. Some of the most popular topics our clients have requested include effective communications, goal strategy, time management, and self leadership. ‍Are your employees and customer prepared to help you achieve the vision you are working so hard to achieve? When stress and headaches takeover, it is easy to forget that employees and customers each play a critical role in achieving and maintaining success. TwoPointO coaches help owners and managers regain a sense of purpose that will engage support and commitment throughout the organization. Does your leadership inspire and energize others? The TwoPointO coaches work to uncover under utilized strengths and knowledge gaps that might be holding you back. Our training methods focus on understanding the why and how of situations, as well as on improving listening and communication skills. Nurturing business talent is just as critical as the artistic drive that fuels the operations. TwoPointO offers customized trainings designed to leverage internal talent, manage strategic staffing issues, and boost employee motivation. ‍Co-presented with Lisa Sherrill of Embodi Inc.
‍In the manufacturing industry, having standardized, streamlined processes and procedures that employees follow is imperative. However, studies suggest the incoming millennial generation has thrown a wrench in how to approach and improve processes in ways that ensure employee adherence. This in turn has caused conflict, retention, attraction and product output issues. Without understanding this interplay between process improvement and the millennial mind, manufacturing companies run the risk of losing their competitive edge with each year that passes. In this workshop, you will learn three strategies that enable a company to not just survive, but thrive in our rapidly changing business culture.